As a member of Child Care Aware® of America, we are a 501(c)(3) nonprofit that delivers services focusing on the improvement of a child’s experiences and environment in their first two-thousand days. Our work targets four main groups throughout Missouri: 1) families, 2) child care professionals, 3) businesses, and 4) community stakeholders. With a focus on parental choice, we connect families to child care through our referral services to ensure families can find care where needed, when needed. Through on-the-ground community outreach and a resource-rich website, we provide families the information needed to be savvy, child care consumers. We work with child care businesses to help them access resources, professional development opportunities, and additional knowledge to help improve interaction with and development of children. We aim to educate on a set of business standards to assist child care programs in increasing the quality and sustainability of their business practices. 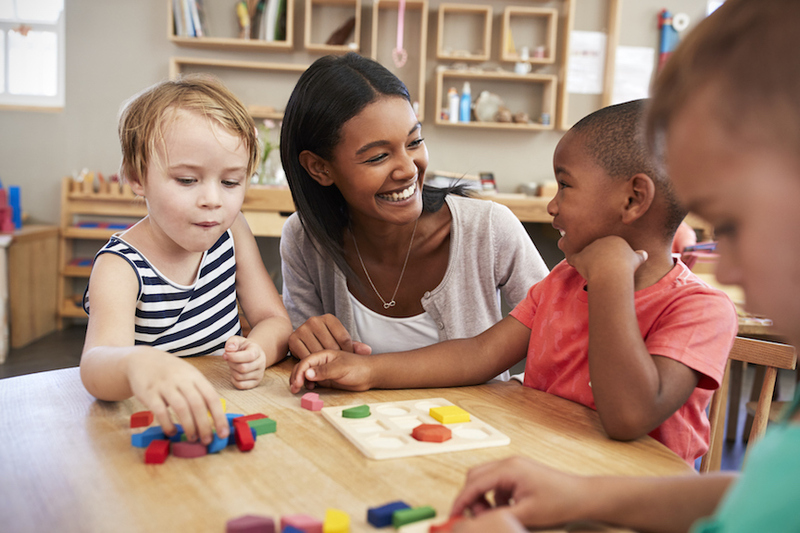 As a leading partner of Missouri’s Child Care Professional Development System, we provide training to Missouri’s child care workforce, manage the T.E.A.C.H. Missouri Scholarship Program, and implement health and wellness practices within early childhood settings. CCAMO is an advocate of an enhanced professional development system and remains engaged in local and state level efforts. We engage in conversations with community stakeholders and legislative and business leaders across the state on the benefits that accrue from high-quality early education for young children. To raise the quality of early child care educational experiences in Missouri by improving child care services through training, education, quality standards, coaching, and business support. Every young child receives safe, quality learning experiences. We believe every child deserves a safe, quality early childhood education experience which is critical to maximize their future well-being. Your support for Child Care Aware® of Missouri will help raise the quality of early child care educational experiences in Missouri by improving services through training, education, quality standards, coaching, and business support. Every young child deserves safe, quality learning experiences.